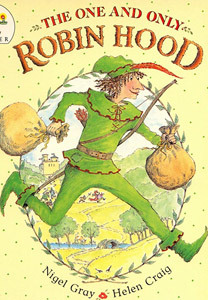 Robin Hood steals the king’s money, and the queen’s honey and runs away with Maid Marion. In the chase that follows, a jolly good time is had by the good, but the bad have nothing but trouble. Highly original. An ideal story for children and adults to enjoy together.